In which order should you read the lines of Guild Feud’s rules text? We break it down for you, line by line. 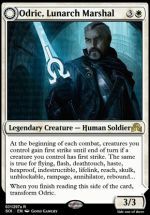 Good Gamery’s exclusive sneak peak at Dominaria’s Masterpieces!